This is without doubt the best time of the year. Today I’m going to throw up some advice on what is the best way to go about bettering your side from a full set of 22 premiums. 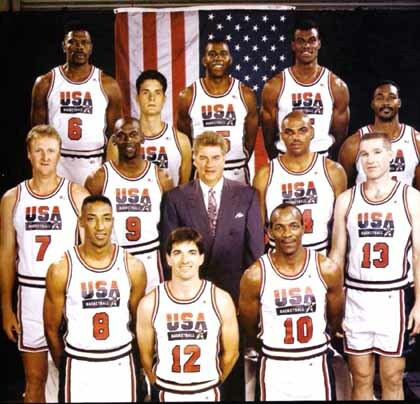 Chuck Daly (central), knew all to well what a team full of stars looked like! This is without doubt the best time of the year. Most fantasy sides have a best 22 full of premiums and are looking to what the future may hold, either for an inordinately high rank or taking home the league cup! Today I’m going to throw up some advice on what is the best way to go about bettering your side from a full set of 22 premiums. There are two simplistic ways of looking at how to better your 22 premium set-up. One is to upgrade the most unreliable premium, to someone in form. An example of this would be trading Nick Riewoldt to Brent Harvey. The other option to strengthening your side is to build a strong bench so that you can ward off the consequences of a late out. Under the hypothetical move above, we must first consider what this trade is likely to produce for us points wise. Thus we need to determine a number of factors including; draw, recent average against upcoming opponents, recent average, seasonal average, break evens and the likelihood of injury/suspension/resting. Now given there isn’t much reason to provide an extreme analysis about a hypothetical move, I will give rough predictions in each case, but these considerations should very much be high in the thinking process of trade planning, especially from here on in. Now under the current hypothetical move above, Langford to Jaensch and Hallahan to Adams, it’s far more difficult to get a reading on what their worth to the team will be. Using the method of, “Seasonal average+Last 5 game average/2” to extrapolate a predicted average, the Langford to Jaensch move would create an extra 24ppg (69ppg from Langford as opposed to Jaensch’s 93ppg, disclosing the injury enforced 45) whilst Hallahan to Adams would also create an extra 8ppg (72 as opposed to 80ppg) plus the added dual position link. It’s difficult to determine the worth of these moves and the worth of the dual position link without the view of hindsight, as the moves could prove worthless if you have a perfect run without any form of ailment to any of your onfield stars. Nonetheless this rarely, if ever occurs, so the expectation is that this move will have strong long term value. It’s difficult to conclude in this situation, as all good questions should be. It’s a risk v reward approach, as most fantasy sports are. For every three weeks of having no injury, suspension or late out issues, the sideways moves should prove to be the best moves for strengthening your side, equating to 129.3ppg better. But if we are relying on our back up every two weeks, the upgraded bench may prove to be the strongest move as not only would it allow for you to swap around the upcoming fixtures (an example being potentially benching Johnson in Round 21 against the Crowley tag), but it also gives you peace of mind that a; My player will be picked each and every week and b; I can expect a strong score from my player. It’s definitely a horses for courses approach and I don’t think there’s any real right or wrong answer. Personally because I don’t own the likes of Rockliff and Harvey, I’d look to sideways my under performing keepers because I think that may be hurting me more long term, but all it takes is for an Ablett+Hallahan late out to have the strong bench working in my favour big time! Anyway let me know what you think in the comments below! It’s tough to pass up on Rockwiz! Highest priority: Sideways Premiums or Upgrade Bench? What to do with Scott Selwood? He’s been so bad I don’t even consider him premo anymore. I can upgrade him to Rocky or Barlow but would be fielding Hallahan for 1 or even 2 more weeks. Or I could hold him and upgrade KKolo in defence for 6 premiums in the backline. Yea I don’t consider him a premo either mate, personally I’d look to move him on. It’s been a role change which has hurt his output, and they’re always hard to overcome. Can’t believe you have held him for so long, he became Macrae in round 5 for me! Just save more cash and do Hallahan to Rockliff. I still have Langford/Ellis at D6/7, next week in comes Simpson then all Premiums. Who show I drop first, Langford of langdon????????? Then who should i get in, out of Hibberd and Simpson??????? should i save cash and go hibberd? I have two options this week. Trade Langford to Jaensch who plays Fremantle, Kolodjashnij on bench. 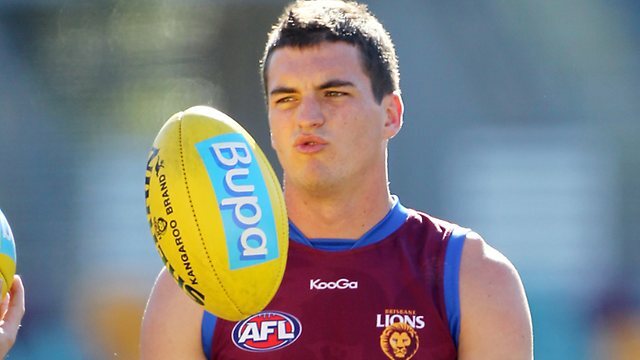 Downgrade Langford, play Kolodjashnij on field vs. Sydney and double upgrade next week. Which seems the better move? is shiels worth a punt? howdy Lachlan, rather than just say no, I’m going to say maybe? Most people have Suckling at D6 still, is he classified as a premo? Thats upto each person to decide. I do classify Suckers as a premium. Outside of Bartel, Simpson and McVeigh, upgrading Suckling would not lead to much really. And SJ reported the week I got him in. I have Jacobs in ruck and no cover on the bench, do I trade him!? Worried that he will be a late withdrawal has anyone heard anything about him? None of their emergencies they named were ruckman so i assume he would be ok? One important point you missed is cashcow earning potential, if you upgrade your bench that is one less position you could earn cash. Excess cash in the kitty by the end of the season > upgraded bench because if you have a terrible injury (score of 1) or you want to chase the best of the best (dont have Rocky or player x who is smashing it) the price differential could be too high.